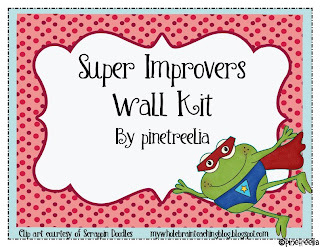 I just got home from a WBT conference and I am really looking forward to implementing the Super Improver Wall in my classroom. I would love to have a copy of your wall. I am doing an owl theme this year. Would absolutely LOVE a copy!! Thanks for all your hard work :0). Great SIW! I would love a copy! Thanks! This looks great. I am also doing an owl theme this year and would love a copy. Thank you. I am working on how I am organizing my wall and would love to see your plan. Thanks for sharing! I would love a copy! Thank you for sharing it! Great blog! I am a new follower! Just got back from the Missouri WBT conference! I look forward to reading more posts from you! I came here through Mrs. L's WBT blog. I'm psyched about using the Super Improver Wall this year and your set is adorable. I too, would love a copy of your SIW. I am a new teacher and want to implement it this school year. Your set looks well thought out and a good model for a newbie like me!! I am just getting prepared to start Whole Brain teaching this year and would love a copy of your SIW. The owls will go well with my forest themed room! Thanks so much for the offer. I just watched this WBT video and was wondering how to put all the pieces together and make it look presentable. Then I found your site! I would love a copy of the owl pack. Thank you so much for sharing! I was researching the Super Improvers Wall and found your site. I have a forest, owl themed classroom and would L.O.V.E. a copy of your pack. It looks absolutely AMAZING! Thanks for all your hard work! I would LOVE a copy of this great resoource. I can't wait to start the new year with a super cute SIW! Oh! I LOVE this! I have trying to decided what to do for my SIW (my theme is OWLS) and I just came across this! I would love a copy! Thank you SO much for creating this and for sharing! This looks super cute. I would love a copy if you can send it on to this aussie teacher! I try to follow some of the WBT ideas. Thanks. Looks great, and love owls. I would love a copy! you're the answer to my prayers! & my google searches! LOve, love, love!!! I just got back from WBT conference and I have been wrecking my brain trying to decide how to do the SI wall. Thanks sooooo much for this!! Hi, this looks great. I have been reading about Super Improvers Walls. I am a student teacher and would love to see it so I have an example to look at. Love this and would go perfect with my owl theme! I would greatly appreciate a copy. My email is kac79@hotmail.com. Thank you! Thank you!! I received my kit today and it is very informative. Easy to follow and you have included everything, even tips. would love a copy to go along with my camping theme aewert@usd409.net thank you! I would also love a copy please!! kunertcar@hotmail.com. Thank you so much!! 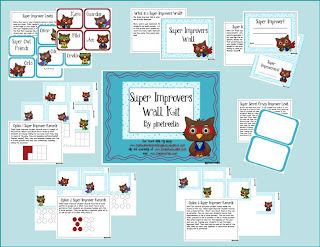 I would love a copy of your Super Improver Wall! I have an owl themed classroom and this will work perfectly. Thanks in advance and enjoy the rest of your summer! I would LOVE a copy - and thank you! I love the owl themed super improvers board. Could you please send me the link? Just learning more about WBT. Getting excited to use it when school starts back. Looove this and I love owls!! I would like a copy of this if you don't mind. My email is gtmitchell19@aol.com. Thanks so much!! 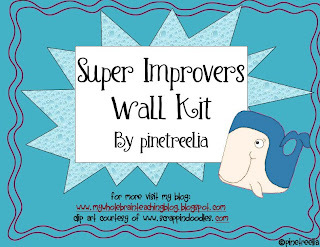 I would love the link to your super improvers wall kit and the genius ladder! Started WBT in spring and am looking forward to incorporating MORE! Would love a copy ! Thank you for sharing! I just found your website and am going to try to start using WBT this year. I would love a copy of your super improvers! I love your blog. Please send me your froggy super improvers. I would love a copy of this! Thanks so much! I would love a copy of this! I am doing a woodland animal theme this year and have owls mixed in with it. This would go great! I have been struggling with what to use. How cool that you have this all made up. jmlmjm@windstream.net Thank you so much!!! This is wonderful!! I am just starting WBT this year so this is perfect!! I would love the owl theme. Wow! I am so excited about WBT! Thanks for sharing on your blog. I would love a copy of the owl theme, lauramaxwell@yahoo.com. Can you send me the OWLs and the Ocean? I just can't decide yet which one I love more! I love your Student Improvement Walls! This will be perfect for my WBT classroom! I love these! Please send me a link to the owl theme. I would love to have the owl sent to me & my colleague would love the frogs. could you send them to angelawitcher@hotmail.com? Thank you for the freebie to share! I would really love to have a copy of the owl super improvers wall! Thanks so much for sharing! L.O.V.E. your blog and am looking forward to sharing your year implementing WBT this year. A friend is starting WBT and has an owl theme going in her classroom. Would you be so kind as to send me the link for your owl themed SI board so I can pass it on. Unfortunately, I am doing a "Global" theme this year so the owls won't work for me... Like you, I'm "counting down" the days! Hi Genia! Thanks! Thanks also for pointing out that the link wasn't working! I have updated it now so if you click on the picture it will take you to my TpT store to get your free download! !